Isn't this photo by A.T. Willett gorgeous? We went to Cinema La Placita for the first time last night. We watched A Star is Born (1976) and it was hilarious. First of all, after the organizers rattled off a list of rules, (Don't drink, don't smoke, don't do illicit drugs, don't be loud and obnoxious, etc.) The film proceeded to roll and Kris Kristofferson's character does ALL that! Then Barbara Streisand's character keeps saying things that are supposed to make her this hip woman connected to sexual liberation and "Woman Power", but from today's vantage point "Strawberry Douche" is only an endless source of off-colour jokes. So is "I want you to come inside...my life." Also, the fact that she's part of a trio with two black female back-up singers called "The Oreos" is wrong in so many ways. June 26: Gentlemen Prefer Blondes (1953) Starring Marilyn Monroe, Jane Russell and James Coburn. Directed by Howard Hawks. Sponsored by THE CRUISE PLACE. 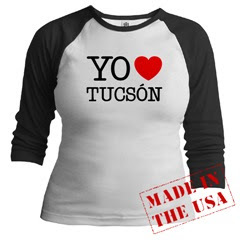 Is the june schedule also part of the "shot in Tucson" series? You should check out my new blog. 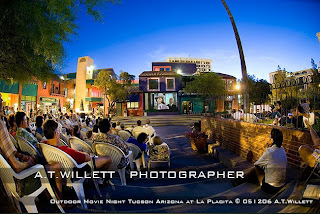 http://pcodconfessions.blogspot.com/ You should link it to this post, as I have a post that begins at Cinema La Placita. Enjoy!! !